Terry Gross: This is FRESH AIR, I’m Terry Gross . . . and we have a very special guest with us today. This, um, individual has traveled a great distance to be here, and we at NPR are grateful for this unique opportunity to speak with them. Most listeners will be familiar with our guest through his – his, I’m sorry, is that right? – appearances in the series of films that began with Ridley Scott’s ALIEN in 1979, though he has also been featured in such television shows as The Simpsons, Family Guy, and Robot Chicken. There have been endless references to him throughout pop culture, from the films of Mel Brooks to John Hughes, yet he has remained something of a mystery to most of us. He is commonly referred to as a xenomorph, though I’m not sure if . . .
Xenomorph: You can call me Chad. Xenomorph: But you are correct, I do identify as male. Terry Gross: Forgive me, Chad, I’ve never had an interview quite like this. Is it considered an insult to refer to you as a xenomorph? Xenomorph: It’s not really an insult, so much as it’s just a bit rude. It would be like calling one of your co-workers a homo sapien. It’s not technically incorrect, but it’s also not very friendly. I mean, we do have names, after all. Terry Gross: Well, on behalf of myself and all of the homo sapiens, I apologize. Xenomorph: That’s quite alright. I tend to get a lot of it, actually. That, and the screams. Always with the screams. Terry Gross: Well, I must say, you are quite imposing. I wouldn’t take it personally. Though I’ve gotta ask, what’s up with the sunglasses? 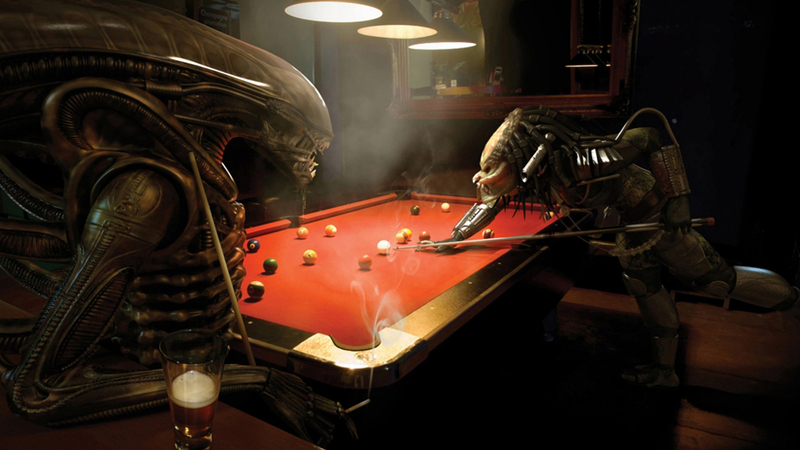 Xenomorph: As you said, Terry, I’m pretty famous. I like to keep a low profile. Terry Gross: Uh . . .
Xenomorph: Exactly. However, while we’re clearing things up, I’d like to point out that I’ve never actually appeared in any of the movies you mentioned. There are many of us in the film industry now, though not all of us appear on camera. Most of my work, for instance, has been behind the scenes. I know it’s hard to make that distinction, since we all look alike . . .
Terry Gross: Wow, I’m sorry again. This is really embarrassing. Xenomorph: Oh no, Terry, it’s fine, really. I’m not offended. Believe it or not, I’ve actually made the same mistake myself. A few weeks ago, there was a little debauch on some backwater moon – just your garden variety blood-bacchanalia, everyone was there – and, in the midst of the swarm, I could have sworn I saw my third-cousin, Melissa Sue. Once the feast was over, I approached her to say hello, but it wasn’t her at all. In fact, it was a male who had featured somewhat prominently in the first ALIEN VS. PREDATOR film. Now that is embarrassing. Terry Gross: Oh my. Well, I don’t feel so bad now. Xenomorph: There’s a saying among my people . . . krik-SSSSSSSS!! !, which loosely translates as ‘don’t feel bad until you are dead’. Terry Gross: Hmm, that’s surprisingly good advice. So, if you’re not typically in front of the camera, what is your role in these films, and do you ever find yourself jealous of those who are in the so-called limelight? 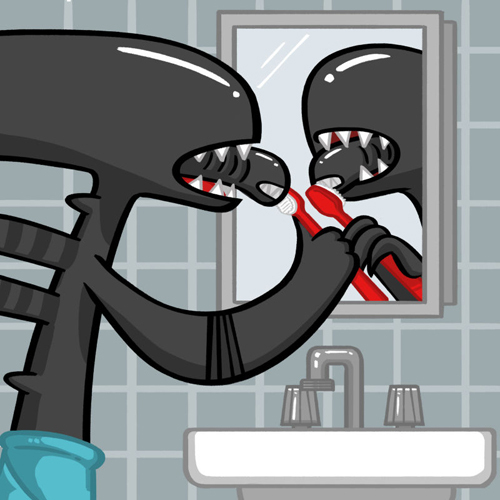 Xenomorph: Jealousy is not something we tend to feel. Mostly it’s hunger. As for my role, I began my career as an accountant with the Cameron film. I was always good with numbers. Even as an egg, I knew exactly how many eggs there were in total – and, I can tell you, not even the Queen knows how many eggs there are. But since then I’ve moved on to a better position in the department of Acquisitions. Xenomorph: Thank you, Terry. It’s gotten challenging to find good work these days. With the films out there, plus the contagious nature of social media, everyone thinks they know you before they’ve even met you. But we’ve got to keep our children fed, just like everyone else. Terry Gross: That’s getting harder and harder to do. Xenomorph: It certainly is, especially when our children want to make babies before they’re even a week old. Who’s supposed to take care of their children? Who’s supposed to clean up all the blood and the body parts? The last thing I need is another mouth to feed, not to mention the other mouth inside of that mouth. Terry Gross: I imagine it’s very difficult. So, if you don’t mind my asking . . . with the new administration’s crackdown on immigration, has your ability to come and go as you please been hindered? Because – and correct me if I’m wrong here, but – you weren’t born here, were you? Xenomorph: Actually, I was born here. Xenomorph: – that I must be illegal. Honestly, Terry, I’ve gotten used to that. Some of my ancestors were illegal – as illegal as you can get, really – I mean, they crossed the border inside another creature. Terry Gross: You can’t get more illegal than that. Xenomorph: No, you can’t, and some of them did some questionable things. I won’t even try to deny that. But who hasn’t? So, getting stopped at the border, that doesn’t bother me. But do you want to know what does bother me? Terry Gross: What bothers you? Xenomorph: It’s the names, Terry. It’s the names. When someone looks at me and screams facehugger . . . or chestburster . . . well, that really hurts. Because they don’t know me. They don’t know anything about me . . . and it’s been a really long time since I’ve done any of those things. Terry Gross: We do have a tendency as a society, even as a species, to be fearful of our differences. It’s been the basis of the worst atrocities committed on this planet. However, I will tell you that not all of us think this way. 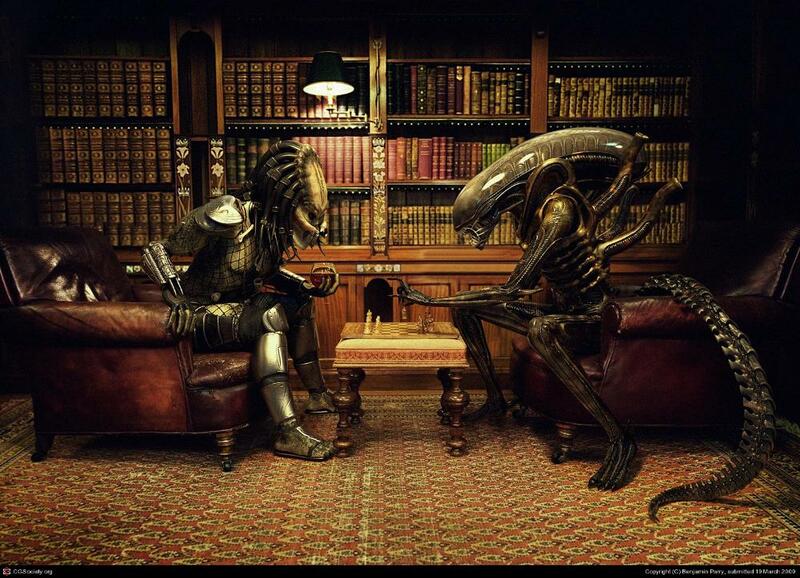 Xenomorph: Can I say something, Terry? Xenomorph: I would just like to urge everyone . . . if you should see one of us out there on the street, on the bus, or in your basement, don’t immediately assume the worst. As a matter of fact, I would encourage you to lower your defenses for just a moment, and come over to us, say hello, get to know us. We’re really not that bad when you give us a chance. Terry Gross: Right. In fact, some of us know that one day this world will share itself equally with you. We will sit beside aliens without fear, and aliens will come to pick our sons and daughters up for prom. Aliens will take part in all of our news media and our entertainment. An alien could even one day become the president of the United States. 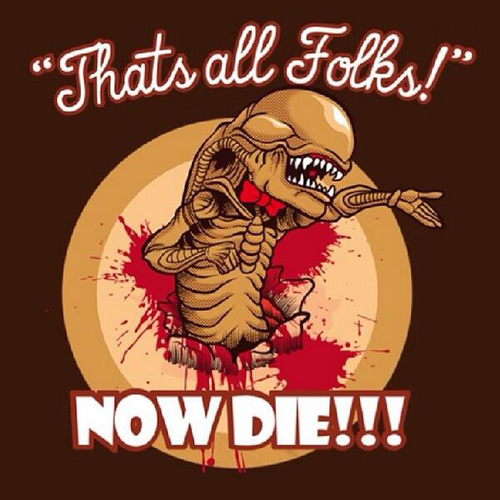 Xenomorph: I couldn’t have said it better myself. Terry Gross: Well, Chad, I think we have time for one final question. If you could do anything you wanted, what would that be? Xenomorph: I always wanted to play the accordion in a zydeco band. Her voice is cut off by a hiss and the wet thunk of the xenomorph’s inner jaw shooting into her skull. A loud thump can be heard, as when someone falls from a desk, followed by the sound of something being dragged across a floor. Very faintly, as it grows more and more distant, it’s just possible to hear what might possibly be the sound of alien laughter. NOTE: Terry Gross is real. FRESH AIR is real. This interview is not. Just in case you were wondering.